GIGABYTE is preparing to launch a new Barebone nettop called GIGABYTE GB-TCD targeting both the corporate market and the consumer. 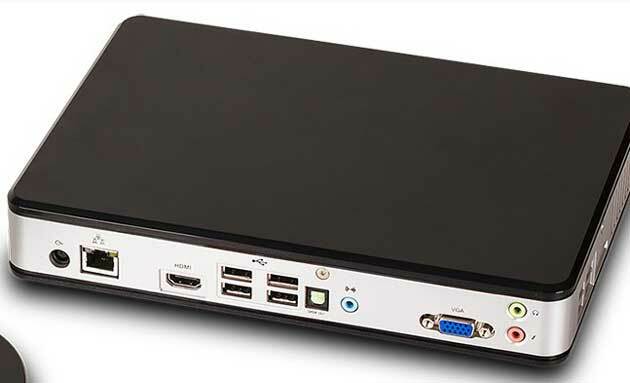 The GB-TCD measures 245 x 180 x 40 mm (mini-ITX) and is based hardware platform Intel Cedar Trail, with N10 chipset and the third generation of Atom microprocessors including model D2550, a native dual-core processing to 1.8 GHz. 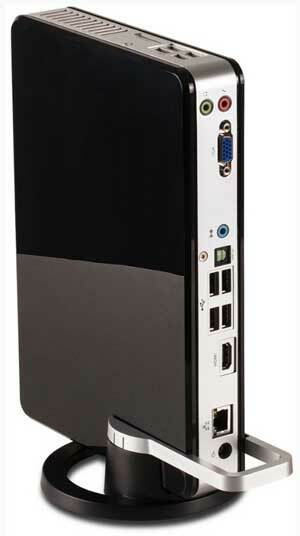 This Nettop supports up to 4 Gbytes of DDR3 memory and has a 3.0 Gbps SATA connector to install hard drive 2.5-inch storage. Also a mSATA (for a solid state drive for example), a mini-PCIe slot, Gigabit Ethernet LAN, a card reader 4-in-1, four USB 2.0 ports, plus video outputs D-Sub and HDMI. GIGABYTE will shortly announce availability and cost for this interesting Nettop PC, low power consumption i.e. 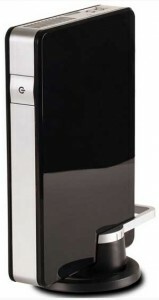 GIGABYTE GB-TCD.